Creating World-Class Sustainable Technology Eco-Systems that Simplify Your Environment. At Conundrum Technologies, we create World-Class Sustainable Technology Eco-Systems that simplify the way you live and work in your home or business environment. Our team of technology specialists, designers and consultants are passionate about creating a simplified solution for you, and committed to ensuring that your experience in working with us is exemplary. For over sixteen years, Conundrum Technologies has been making technology responsible, by integrating electronic systems in homes and businesses to create efficient and sustainable environments. However, what makes us unique is our people. Our focus on "Human Connection" has been the cornerstone for our clients' experience. We have always understood the importance and responsibility that comes with allowing our people into the privacy of your home or business. That is why I am proud to say that we have hundreds of clients who call us "friends." Our people, our clients and our community . . . it's our responsibility. We look forward to the opportunity to work with you on your next project and serve you in the future. From simple stand-alone Audio Systems to complete Home Automation Systems, we will work with your design & construction team to provide you with a simplified and intuitive system that perfectly meets the needs of your home and family. With a resume of more than twenty Multi-Dwelling Unit developments, including a number of design-oriented projects in Denver's River Front Park, we have unparalleled experience and ability to deliver exceptional commercial systems. Our technological expertise in Renewable Energy, Control Systems, and Energy Optimization has opened opportunities to work on LEED Certified projects, win International Awards and work with the U.S. Army/National Guard. Utilizing the most innovative products in the industry, we design and install automation & control systems that bring true purpose to smart features in order to create a sustainable environment that is intuitive and simple to use. These systems allows you to control music, video, security, shading, lighting and solar contribution in your home or business, all from an iPad and work together, behind the scenes, to create an efficient, sustainable technology eco-system. Our experience in Photovoltaic (PV) Systems, partnered with SunPower, the world leader in Solar Technologies, sets us apart from other Automation and Renewable Energy companies. The integration of Renewable Energy Systems and Low Voltage Systems is indicative of the level of technological expertise that we contribute to any project. With SunPower inside as our solar partner, their Maxeon Cell technology produces 21% more energy per rated watt and 75% per square foot over the warrantied 25 year life of the system. Renewable Energy is at the heart and soul of our Commitment to Community. 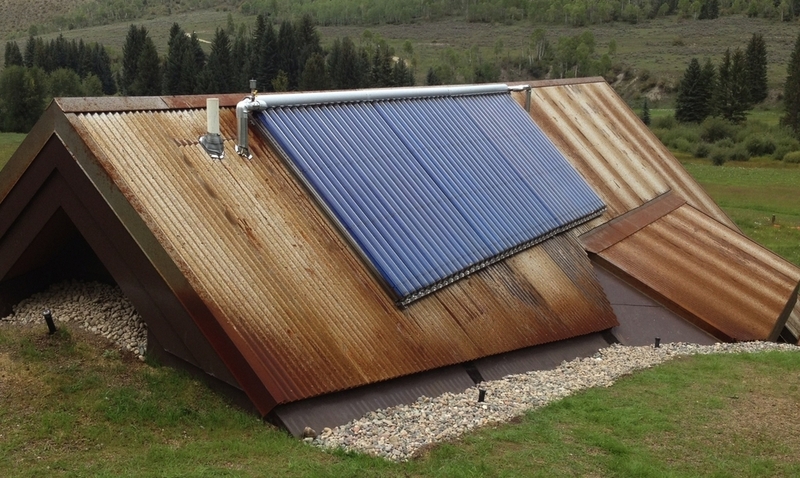 Conundrum Technologies Solar Photovoltaic systems power more homes and businesses in Colorado than those of any other Automation or Low-Voltage company and have offset more than 900 MWh of fossil fuel energy. Using the most advanced technological thermal systems available in the world, our company provides heat production in both flat plate collectors and evacuated tubes that can produce temperatures up to 400 degrees. Certified in German Steamback systems, we have provided simple solutions for basic domestic hot water to advanced military grade systems. From Whole House Audio Solutions to 4K Video Displays, to state-of-the-art Media Servers, we have a simplified solution that will change the way you experience Audio & Video. Using iPad control, web services offering Movies & Music are made simple to access and control so guests, family and friends can share and stream all of their digital content in your environment. Lighting, Lighting Control and Light Harvesting are all components of illumination. Our lighting control systems simplify the way you turn lights on and off, creating the perfect lighting ambiance every time. Additionally, simultaneous integration with the electronic shading system can harvest available daylight, manage solar gain and provide privacy, creating your sustainable environment. 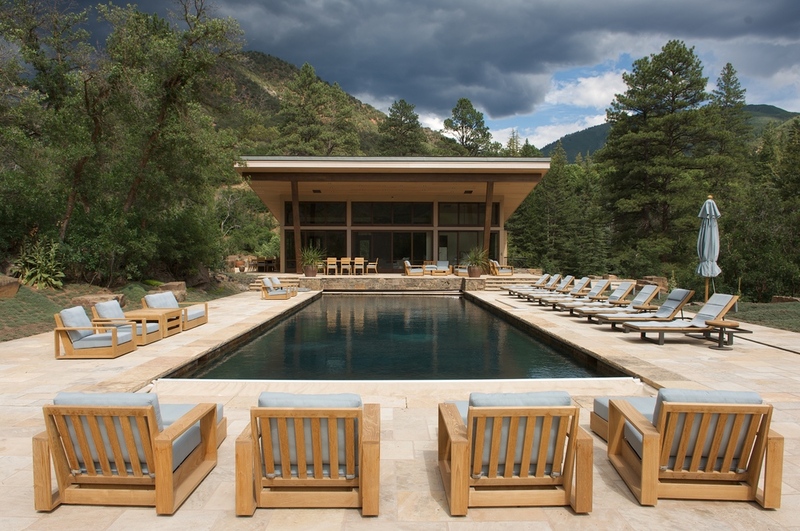 In 2012 and 2014, Conundrum Technologies was awarded the Lutron Electronics "Best Energy Management Application" award for the integrated systems designed and installed using Lutron Lighting, Lutron Shading, Solar PV, Solar Thermal, Geo-Thermal & Savant iPad Control at Walking Mountains Science Center and a private Residence in Cherry Hills, CO. Conundrum Technologies was the first Colorado company to win this prestigious award at its inaugural year in 2012, and the only company in the United States to win it two times, with the second win in 2014. Replicating accurate sounds, images and experiences is at the core of our Theater, Listening and Media Room Designs. Using 4K video components and digital audio technology from Meridian, every detail, every tiny drop of emotion, is authentically reproduced in our environments. We break down our rooms through components of measurement such as resolution, depth, accuracy, imagery, speed and richness to create the world's most entertaining experience in your home. We design and install Security & Fire Systems that protect your investment and also offer advanced monitoring features like IP Cameras and the ability to arm/disarm from your iPhone and iPad. Intelligent systems send you e-mail images of human traffic and system updates such as who armed/disarmed your system, so you can take your peace of mind wherever you go. A sophisticated home or business requires an enterprise level network that you can depend on. Internet protection, redundant service, managed internal performance, optimized data transmission, secure wireless connectivity, stability and speed are all significant components of what is required today from your network. Conundrum Technologies delivers best-in-class systems that provide these qualities so that you can get what you need, when you want it. Your home is more than just rooms and walls. Outdoor living areas are becoming more integrated into homes, and the environment you create inside should seamlessly carry over the threshold. Outdoor Audio, Video, and Pool & Spa Controls help take your outdoor space to the next level, so that living, wherever you want, is seamless. Resource Management brings together valuable data in your home or business for water, electricity, gas and systems. Our belief is, "If you can't measure it, you can't manage it." Conundrum Technologies provides Home & Building Dashboard systems that measure and manage valuable data, empowering you and your systems to reduce and reuse, saving resources and money. SunPower, The World's most efficient Solar Module in the World. a whole new meaning to the sound of music. performance. We’ve never truly heard what the artist wanted us to hear. because we’ve designed our systems to suit the way you live.